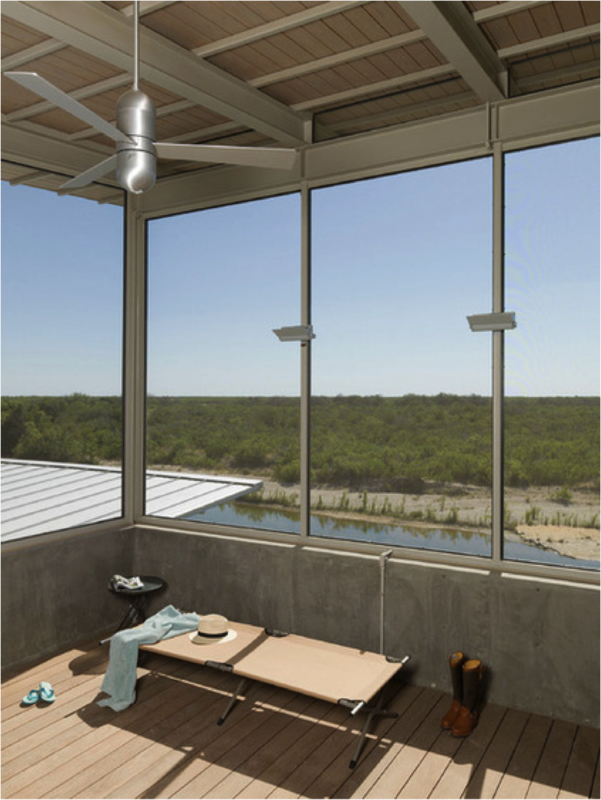 The South Texas riverside retreat is built around the owner’s vintage 1950’s streamlined trailer. 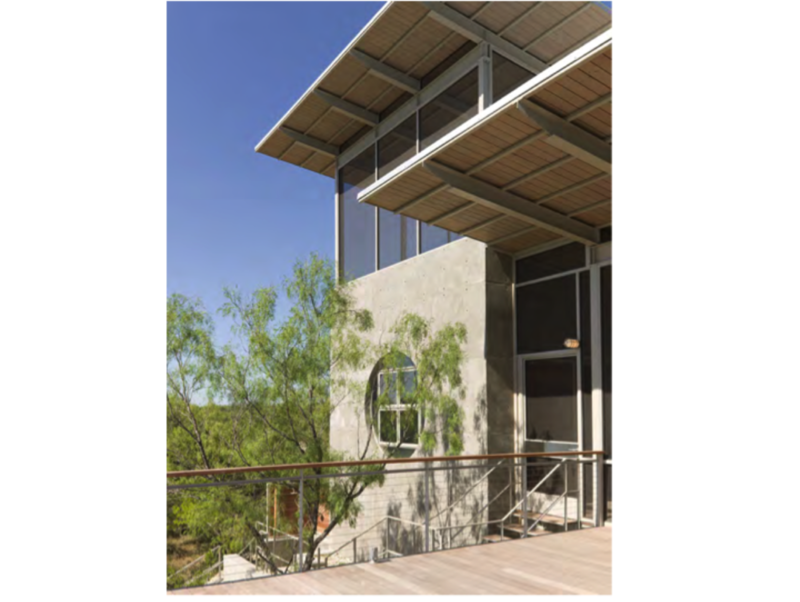 Located on a bluff thirty feet above the Nueces River, the retreat consists of steel frame and metal roofed structure sheltering the 40-foot long Spartan Imperial Mansion and a 60’x12’ epe-decked screened porch, both set parallel to the river. An additional deck cantilevers 25 feet beyond the edge of the bluff to offer views up and down the river. At the north end of the porch/trailer, a concrete “lookout tower” contains a bathroom and a second-level screened sleeping porch. 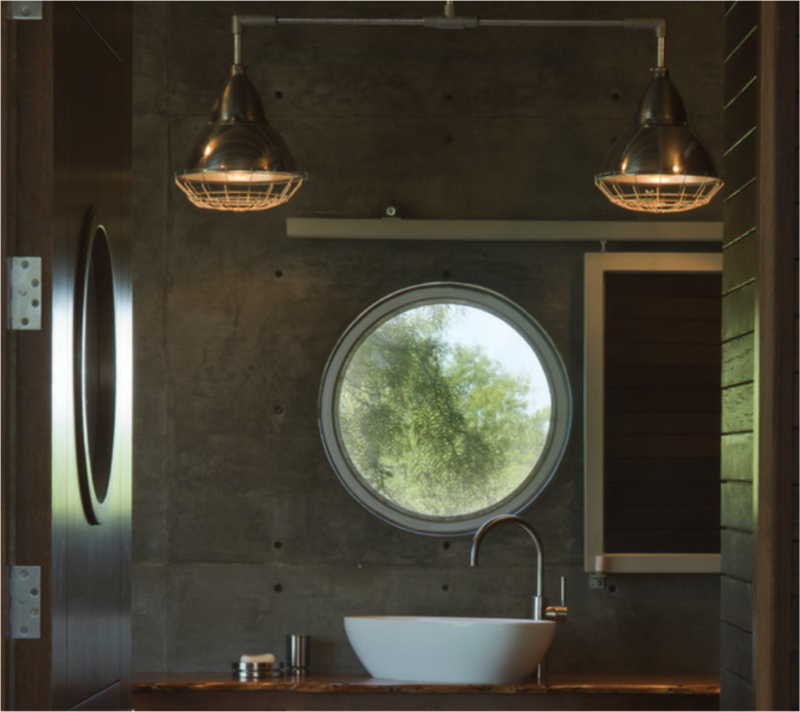 All of the roof surface is used for rainwater harvesting with storage in an on-site cistern.